Indulge yourself every night with these sumptuous White Duck Down Quilt Doonas. Snuggle up into this sumptuous and supremely indulgent white duck down quilt and feel yourself drift off to sleep in absolute luxury. 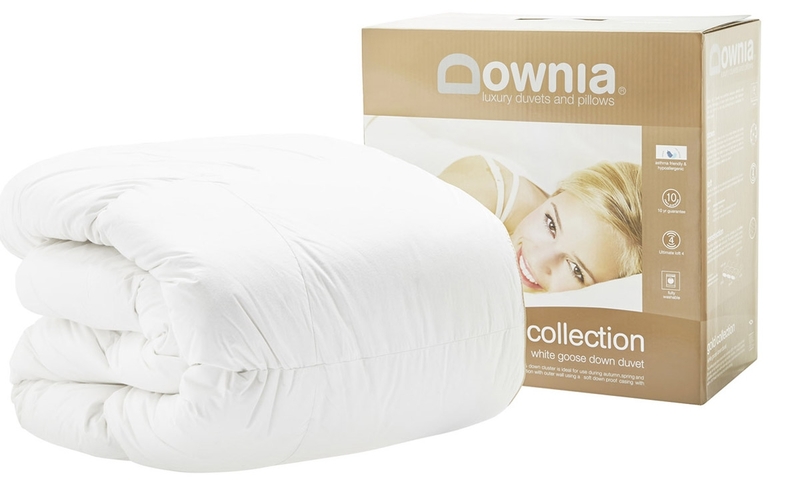 The Downia Classique White Duck Down Duvet has 85% White Goose Down Cluster, ideal for use during autumn, spring and winter. They provide the ultimate in warmth without the weight! Baffled cassette construction that provides excellent lofting ability. I live south of Hobart, Tasmania, and it gets pretty cold down here in the winter, my new doona has surpassed my expectations with the warmth and comfort it provides. I love it!!! I can hardly wait for bed time. I just so look forward to climbing in and pulling the doona up. Such a great nights sleep in these cold times.